If Specialized is being honest with themselves, alloy has always been at the heart of the EVO family. It's tough, it's stiff, and at least with their bikes, it's pretty damn light. Basically, it embodies everything that's good about mountain bikes, and that's what EVO is all about. But an Epic Comp EVO made out of aluminum? They say, "yeah, it's a perfect fit." And that's because this bike brings all the uphill racing, singletrack-ripping fun you want, and puts it in a durable, on-budget package. So get excited, because this is the most "epic" Epic yet. Take a look around their office and you're going to see plenty Epics—most of them wearing dropper posts, wider tires and bars, and slightly longer forks. That's because the Epics that They're Frankensteining are not only fast off the start line, they're even better suited to masochistically long rides, multi-day stage races, and fast backcountry missions. 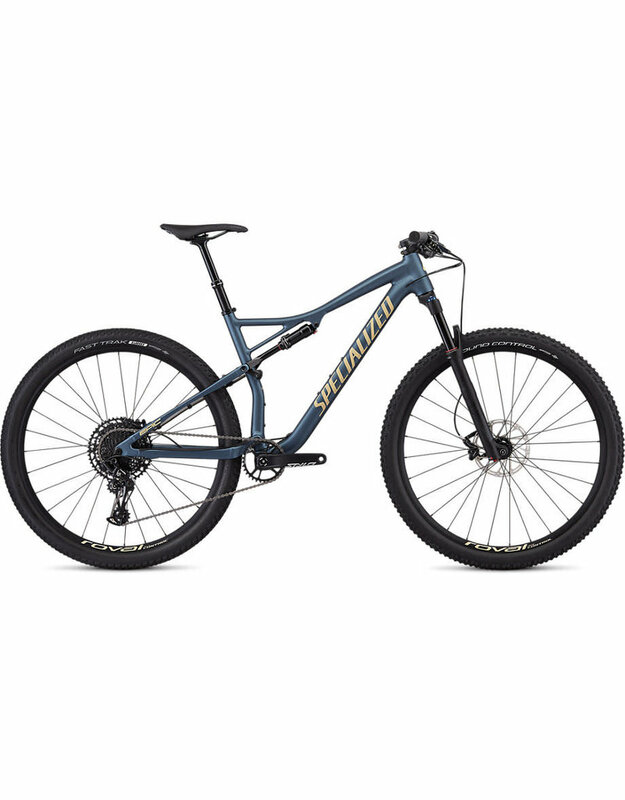 At some point, They looked around and said to themselves, “Specialized should offer this bike, right out of the box, right?” So they did. So let's dig into the details. First off, the EVO ups the fork travel from 100mm to 120mm. This gives you some relief up front while also slacking-out the front-end by one-degree to 68.5º. Next up, they added a zero-offset dropper post to give you more control on descents, but this design keeps your saddle over the BB on steep climbs. They also put some meat on the tires with a grippy 2.3" Ground Control at the front and a stiffer Fast Trak at the rear with GRID protection at the sidewalls. 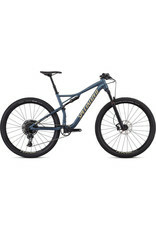 The Epic EVO also features Specialized's Brain 2.0. The OG Brain changed the way the bike world looked at suspension, and oh was it good. It won races and put a flag in the ground for Specialized as a true leader in innovation and suspension development, but they knew that they could make it better. Simple physics told them that, by moving the Brain closer to the rear axle, it would be in the most sensitive spot. And after some lengthy R&D, it's totally new. Now, it reacts seamlessly to bump forces, it has much more consistent damping performance, and finally, it integrates the hoses into the suspension links. This means that the oil paths are improved, and that creates an incredibly sleek package that outperforms anything on the market. At the heart of the construction, you'll find Specialized's M5 alloy with their D'Aluisio Smartweld Technology that strategically places more welding material where it's needed, resulting in an aluminum frame that's more compliant and considerably stiffer at nearly every tube juncture. It's awesome. For the build, Specialized spec'd a 12-speed SRAM NX Eagle groupset, SRAM Level TL brakes, and a Roval Control Alloy wheelset. Front Tire: Ground Control, GRIPTON® compound, 60 TPI, 2Bliss Ready, 29x2.3"
Rear Tire: Fast Trak, GRID casing, GRIPTON® compound, 60 TPI, 2Bliss Ready, 29x2.3"